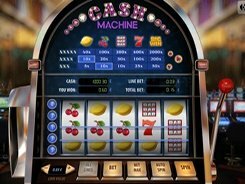 Cash Machine is a Vegas-style 5-reel slot machine that is equipped with 5 paylines and resembles an authentic one-armed bandit standing at a brick-and-mortar casino. A lever on the right side of the slot is not a decorative element; clicking on the lever knob will make the reels rotate in just the same way as if you has pressed the Spin button that is also available below the reels. 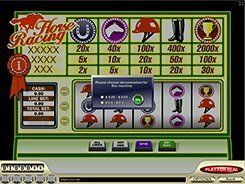 A coin comes in five denominations between $0.01 and $0.05, and a line bet that lies in the range between $0.01 and $0.25 is adjusted by clicking the Bet button. The symbols are lemons, cherries, 3-Bars, sevens, and the BIG WIN icons. As in other slots, your aim in Cash Machine is to match 3, 4 or 5 symbols on a payline starting from left to right. The top three prizes in the game are 2000, 400 and 200 coins, which is equivalent to $500, $100 and $50 if you place the maximum possible stake. 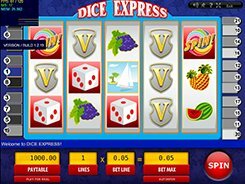 No special features like scatters or wilds are present in the slot, but this is not a problem for classic slot aficionados who want to indulge in a genuine Las Vegas atmosphere. PLAY FOR REAL MONEY!